For the second day of quick dishes, this is one of the pulaos I make for my kids for their lunch. I never thought of clicking it before. However this particular picture was taken during the floods we had in Madras and we were short of ideas being at home through the day. While I had work throughout the period except for maybe two days off, kids were at home for 45 days and we were going out of mind to think how to keep them occupied. And on top what to cook for them. During one of those days, when I made non veg and in no mood to cook for the vegetarians at home, I thought this quick pulao will be just good enough. I had shared the cauliflower saute already and remembered just now to get a better picture for this post as well. Heat a pressure cooker with oil and ghee. Add the bay leaf and cumin seeds. Saute well. Then add onion julienne, green chilies, saute well. Now add the ginger garlic paste. Saute well till it browns. Add the mint leaves and coriander leaves (save few for final garnish). Saute everything well. Add the tomato puree along all the red chili powder, turmeric powder, salt, arabic spice blend and combine. Drain the rice and add to the masala. Mix everything well. Add water, garam masala and cover with lid. Pressure cooker for 3 to 4 whistles. Switch off. Let the pressure fall off. Wait for 5 mins, before gently releasing the pressure, fluff the rice, garnish with coriander leaves. If you don’t have Arabic Spice Blend, replace with regular whole clove, cinnamon, cardamon and increase garam masala. It will be not exactly like using the Arabic spice blend, still you can have something closer. Pulaos are always a life saver when not in mood to cook. It looks colorful and flavorful. Prefect to make if you have sudden guests or your in hurry, pulao looks wonderful. The Arabic spice blend must have added a new flavor to this quick rice dish. And oh my gosh, did your kids were out of school that long because of the floods? Quick recipes are always a boon Valli. Yes Suma all the kids in Madras infact.. Though so my comment is lost. I cannot remember much of my beautifully worded comment except that this pulao is yum and having the spice mix handy is a good idea. 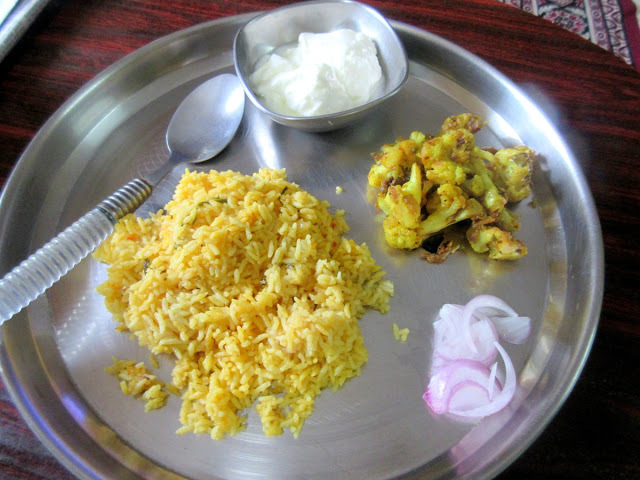 Quick and easy to make pulao,it turned out so perfect and.Addition of Arabic masala enhanced the flavor of the rice..
Nowadays even I have started cooking more pulao recipes as they seem so quick to make. Your version with Arabic masala sounds flavourful.. The Arabic spice blend sounds flavorful. Such quick one pot meals are always welcome. 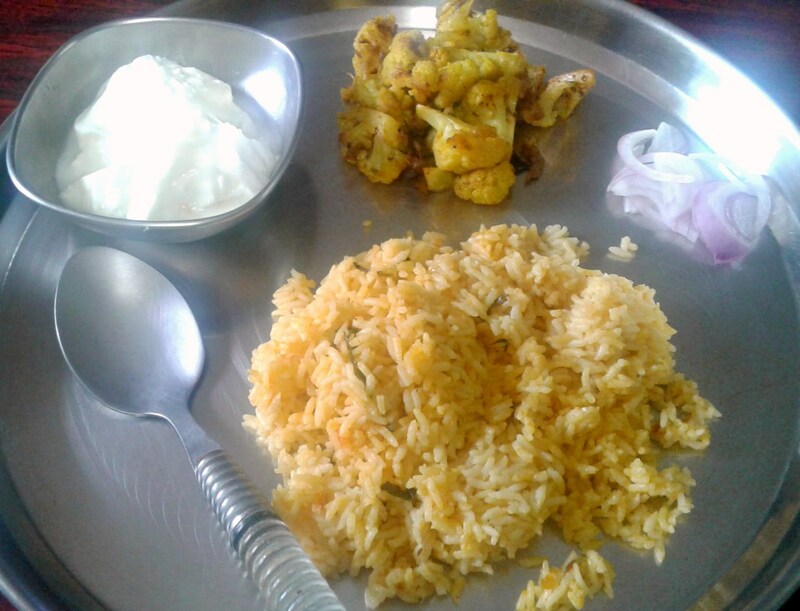 Pulao seems to be working well for my families lunch box as well and I am very happy about using vegetables in the rice :)The recipe sounds simple and flavorful.